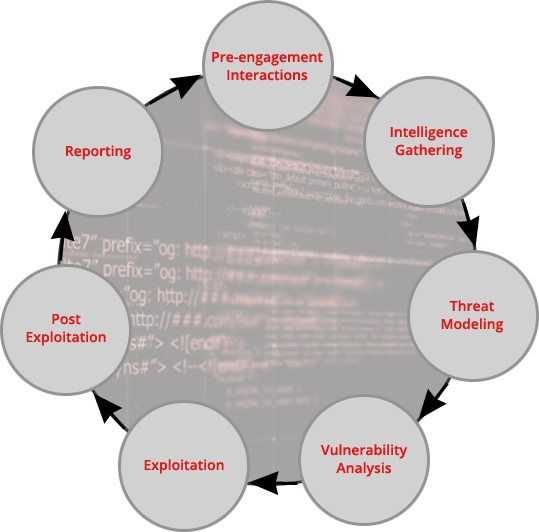 In 2010 Ethical Intruder began our service offerings primarily focused on penetration testing and vulnerability evaluations. Early on we realized that there was a mismatch between typical security teams and the composition of actual hackers. Malicious Intruders often came from a software engineering background, so Ethical Intruder developed our Intruder teams to include those who actually had experience in architecture and development of the very systems our customers look to protect. By combining these skills with core security backgrounds we can review your systems in a way only paralleled by actual hackers. Ethical Intruder incorporates several best practices including PTES, OWASP, NIST and CIS technical guidelines in our ethical hacking evaluations that help define procedures to be followed during a vulnerability evaluation or penetration test. These standards are solid baseline methods used within the industry and are continuously updated and modified by the community. Our Intruder teams utilize a combination of manual, automated and creatively engineered techniques to the evaluation of your systems. Service offerings for Cyber Security or Compliance Programs have traditionally been consumed with one off projects. With increased focus on cyber security as a major business risk, the need for alternative delivery approaches has emerged. Flexible on-going subscription based programs that combine our Compliance, Technology and End User initiatives at a fraction of the cost of one in-house security team member.